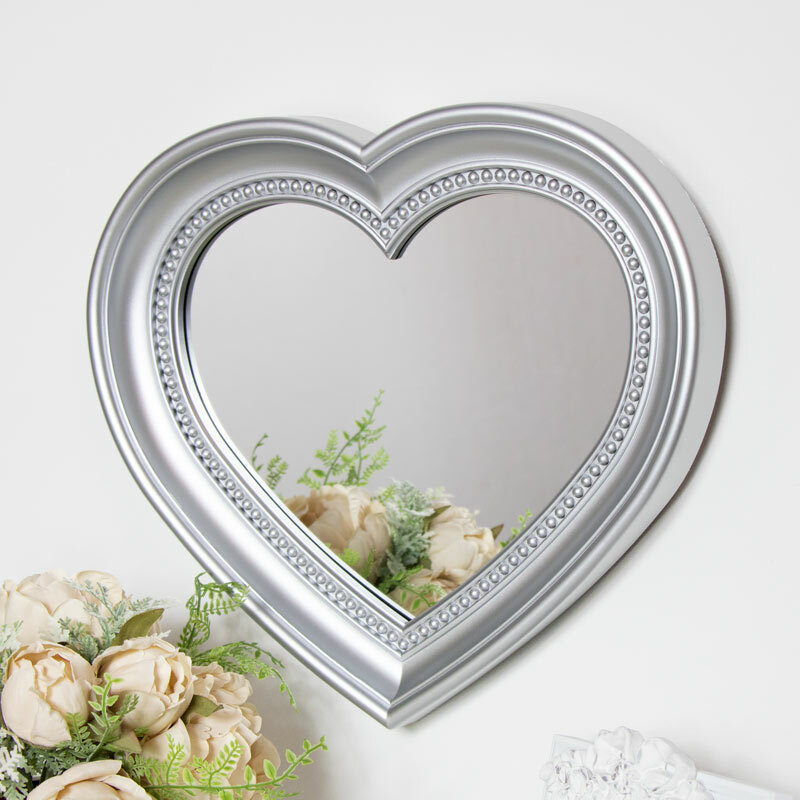 Add some vintage loveliness to your home with this pretty silver heart shaped wall mounted mirror. Perfect for a girly bedroom or boudoir, this wall also make an excellent mirror for the living room and hallway or a sweet bathroom mirror. Pretty in silver, this will make a very girly mirror for anyone that loves hearts and the silver finish. Beaded detailing surrounds the frrame to add a decorative touch. We have a great choice of mirrors to suit every room and every decor style from the extra large to small. 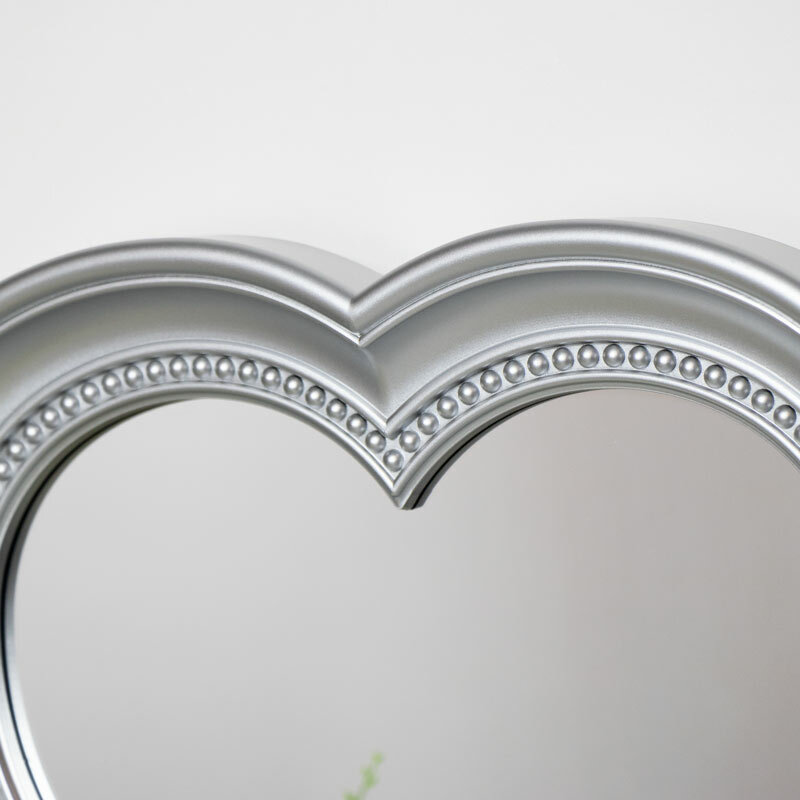 Add some vintage loveliness to your home with this pretty silver heart shaped wall mounted mirror. Perfect for a girly bedroom or boudoir, this wall also make an excellent mirror for the living room and hallway or a sweet bathroom mirror. Pretty in silver, this will make a very girly mirror for anyone that loves hearts and the silver finish. Beaded detailing surrounds the frrame to add a decorative touch. We have a great choice of mirrors to suit every room and every decor style from the extra large to small. 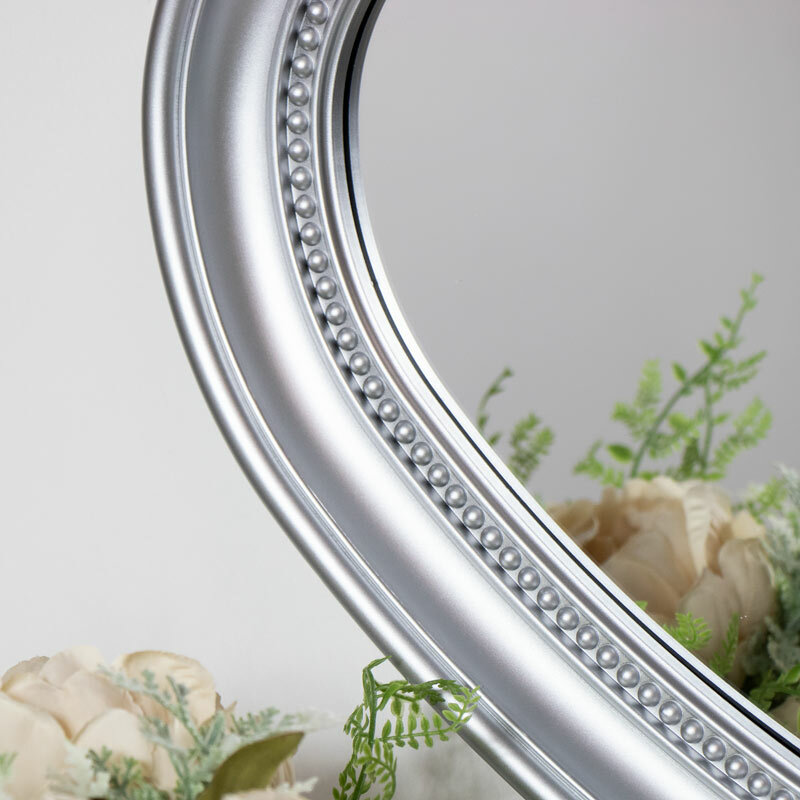 Crafted with a silver plastic frame enclosing the mirror. Easily wall mounted with hook on the back for hanging. A great addition to our increasing range of wall mirrors. We have the best choice in mirrors for you to pick the right one for your home.